One of the things that I enjoyed last year was attending the International Rosary night at our parish. On this night, children (and adults) from our parish were able to see just how universal our Church really is. Our Priest and staff did a great job setting up the Church for this awesome event. The moment that you walked in, you understood the reverence that was buzzing in the atmosphere. This event was solemn. 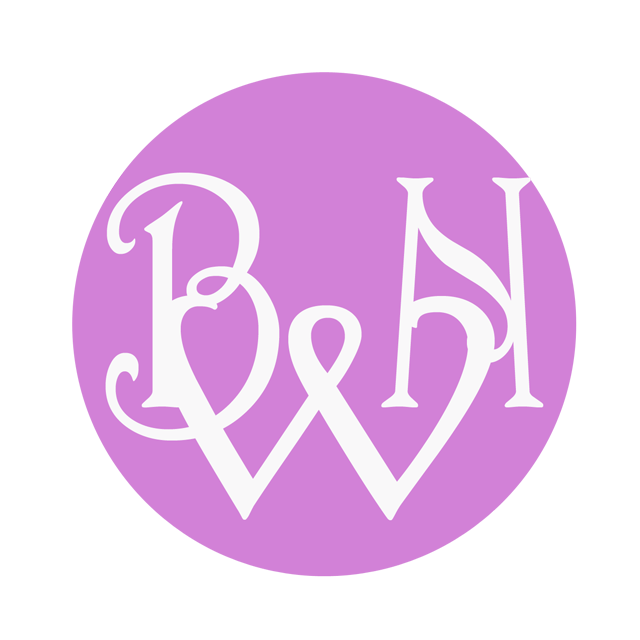 A heaviness weighed in the air, as we prepared our hearts to recite the Rosary as a group. For me, there is something special about praying the Rosary in a group. It seems more beautiful to be surrounded with people who love this devotion. The night started off with a song and a prayer to the Holy Spirit. Every decade began with a scripture reading and then the Rosary was recited in English and Spanish. When we came to the last decade I was in complete awe. 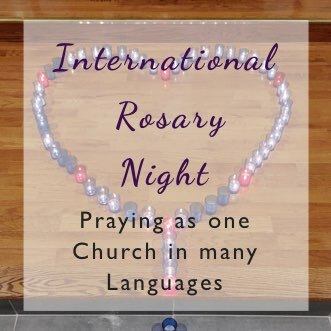 People who were part of my parish for years, lined up at the microphone and began to participate in the Rosary in their native language. One by one they lined up and we heard people pray in: Polish, Italian, German, Latin, Spanish, Igbo (spoken in Nigeria) and Nahuatl (which is an Aztec language). All those beautiful languages were spoken by members of our parish that we see and pray with all the time but never asked (or wondered) what language they spoke. This was the best part of my night. 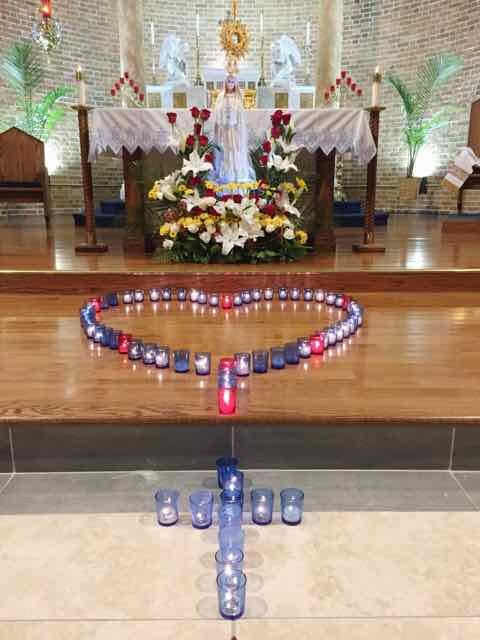 Most of the time while praying, its easy to feel like you’re alone, doing this, but when we were able to hear people recite the Rosary in different languages, it reminds us so well that our love for God truly unites us. This was a wonderful reminder that we pray as a community not just individuality. I’m so happy that we were able to attend, and if our Parish has one again this year, we will definitely attend! 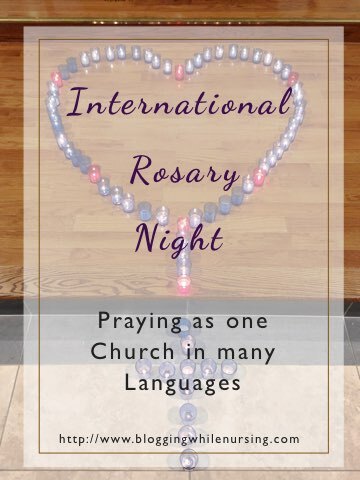 Have you been to or apart of an international Rosary? Have you heard the Rosary recited in different languages?